Want to visit the farm this summer? Can't make the Saturday farmers' markets and want to buy our cheese and gelato and some locally grown produce? Well, we have the solution for you. Starting Wednesday, June 6th, the farm is open Wednesdays through Fridays, 3-7 and Saturdays & Sundays, 1-4 pm. 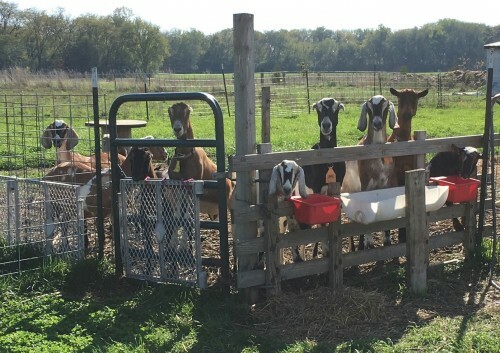 You can walk around the farm, see the goats, stroll in the orchard and herb garden and cool down with some freshly made goat milk gelato and seasonal sorbetto. You can also peruse our farm store for cheese, dry-cured salamis from Underground Meats, farm-fresh eggs, seasonal produce and frozen sausages from Piemonte Sausage Co., along with meats and chicken from Bane Family Meats. We will be offering build-your-own cheese boards to enjoy with a glass of wine or beer or a Homer-Soda soft drink. For directions to the farm, go to "Directions".